2.2 Do you use your void deck? 2.3 How often do you chance upon your neighbours at the void deck? 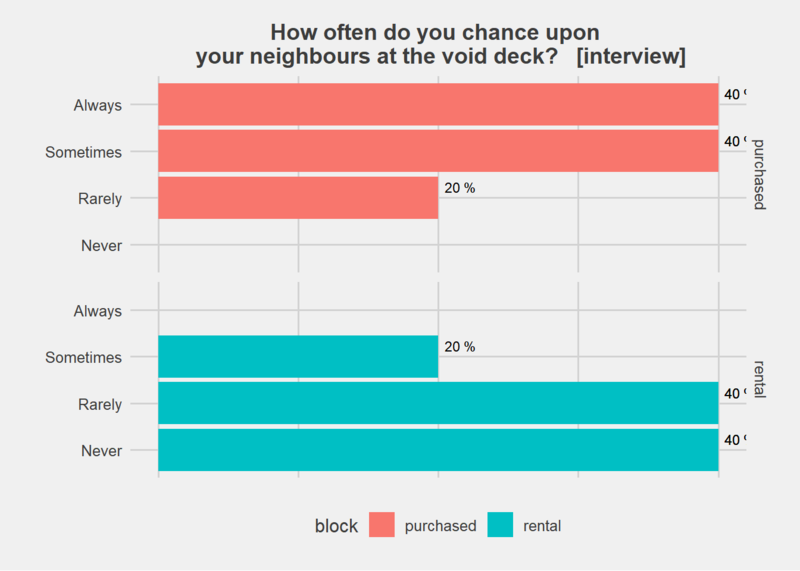 2.4 How often do you chance upon your neighbours at areas other than the void deck? 2.5 Do you interact with your neighbours when you meet them? 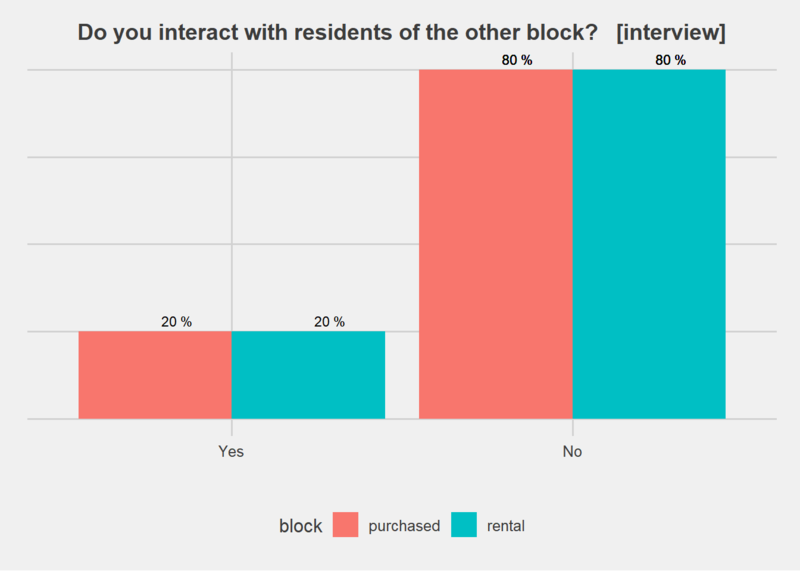 2.6 Do you interact with residents of the other block? 2.7 Do you know of the integrated block model? 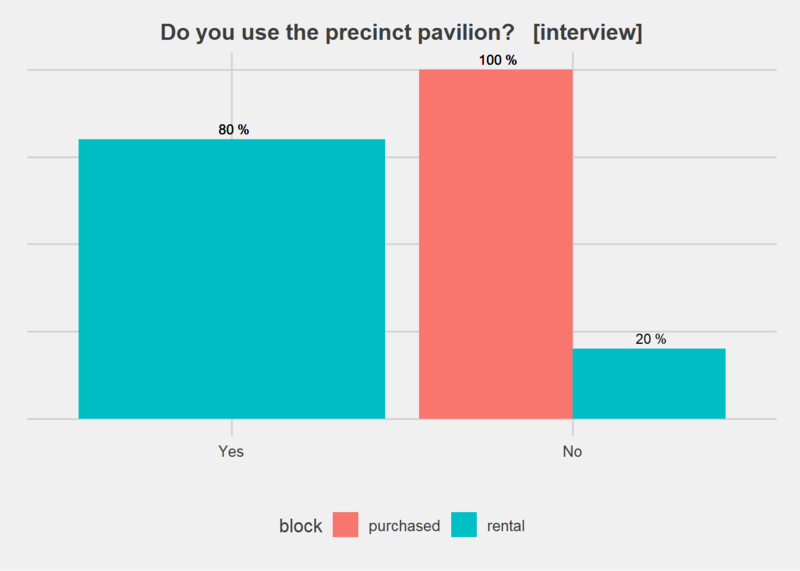 2.8 Do you use the precinct pavilion? 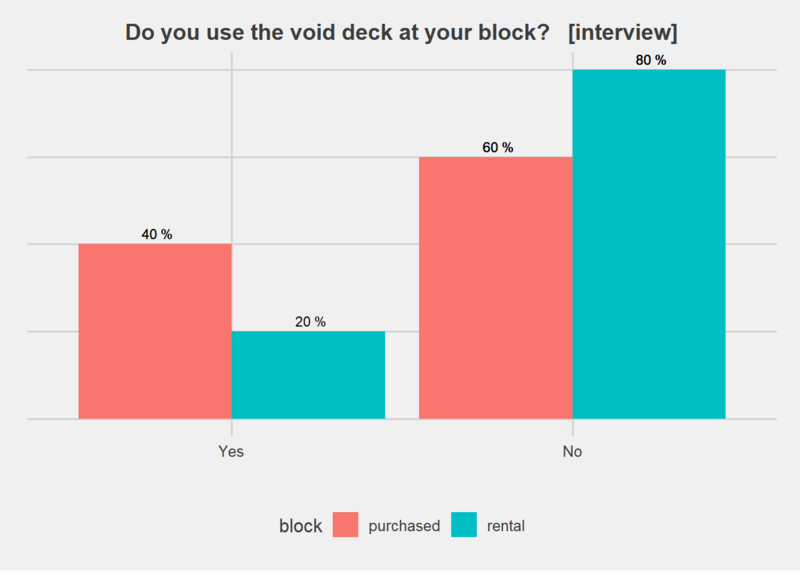 ## Range "'Interactions in HDB void decks'"
mytitle<-"Perception of void deck (rental block)"
mytitle<-"Perception of void deck (purchased block)"
mytitle<-"Perception of integrated block (rental block)"
mytitle<-"Perception of integrated block (purchased block)"